There were several correct answers to last week’s trivia question on the first Stowe Derby. Certainly that was influenced by the fact the article about the Stowe Derby also in last week’s issue, contained the answer! Steve Edwards, Ed Gill, and Lyndall Heyer all correctly identified 1945 as the year of the first Derby. Lyndall actually had the specific date, February 28, 1945! And she recounted the story of how it resulted from a challenge between Sepp Ruschp and Erling Strom. 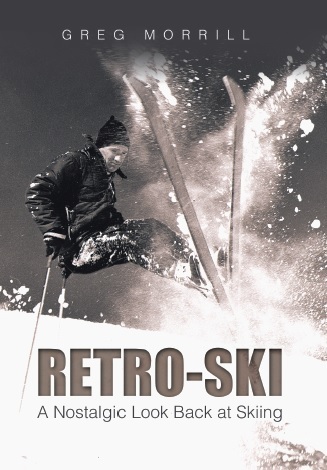 Sepp ran the alpine ski school at the mountain while Erling had a Nordic ski school he ran out of his home, the site of the former Cactus Café. 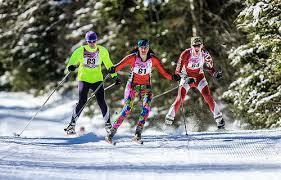 So in some respects the original Derby was a challenge between the cross country skiers versus the alpine skiers. The course ran from the Octagon to the Akeley building. Many traditions have started based on challenges or even bets on who could do something better than someone else. Here in Stowe there’s the “World’s Shortest Marathon” held on July 4th. As I understand it, that started as a bet on who could run from the Whip to the Three Green Doors the fastest! There’s another Fourth of July tradition involving at least the word “Marathon” that has been around 110 years! No, it’s not in Stowe, but in Seward, Alaska. Seward is located on the Kenai Peninsula at the end of Resurrection Bay. Seward’s official population is around 2,800 people. In the summers the population goes up thanks to the cruise ships that visit. However on the Fourth of July as many as 40,000 people crowd the streets! That’s because of the Mount Marathon Race. On the Fourth of July in 1909, a bunch of the boys were whooping it up at the Malamute Café. Whoops, slipped into a little Robert Service there. But there was a group celebrating in a local Seward Bar and somebody offered $100 for anyone who could run to the top of Mount Marathon and back in under an hour! Actually it wasn’t called Mount Marathon back then. The name eventually came about due to the race that resulted from that bet. The mountain in question is visible from almost any location in town. It rises steeply to an elevation just over 3000 feet and since Seward is at sea level, the challenge was to go to up-and-down 3000 feet in under an hour. Al Taylor took up the bet and took off in his Sunday best clothes and leather boots. Taylor missed making it back in an hour by minutes, but was still in such a good mood that he bought drinks for everyone. Over the years the race has grown in popularity to where today the number of entrants is limited to 800. Any previous winners and the top 225 finishers from the previous year can get a slot if they choose. The remaining slots are determined by lottery and ten slots are auctioned off the day before the race as a fundraiser for local charities. A slot can go for $3000! The race is difficult to describe. Racers run about a half mile from the starting point in town and then the scramble begins – first through a treed forest, then into thick scrub brush, and finally above tree line where most of the race occurs. Racers use both hands and feet to get over ledges, loose shale slopes, and even snow. The trip down can best be described as an almost controlled fall. Injuries occur and most competitors wear the resulting blood and bruises as a medal of honor. There has been one apparent death in 2012. I say “apparent” because they never found the body despite searching for almost a week. Such is Alaska. As far as doing it under an hour, the men’s record set in 2016 is 41 minutes 26 seconds while the women’s record was set in 2015 at 47 minutes and 48 seconds. Why are we hearing about a crazy Alaskan Fourth of July race in a column about skiing? I heard someone ask. One of the most famous winners of the Marathon Mountain Race is Kikkan Randall, the most decorated United States woman in World Cup Nordic racing. This includes competing in five Olympics and winning a gold medal as part of the sprint team at the Pyeongchang Olympics in 2018. Kikkan first raced Mount Marathon as a junior at the age of 10! She won the junior division for three consecutive years. Once she turned 18 she raced in the women’s division ten times finally winning in 2011 with a time of 52 minutes and 3 seconds. She was undoubtedly under a lot of family pressure since her mother, Debbie, won the race in 1975 and her aunt Betsy won three consecutive Mount Marathon races. Kikkan was diagnosed with breast cancer in July of 2018. They caught it early so her prognosis is good. She is facing this challenge just as she did cross country skiing and the Mount Marathon Race. Her New Year’s update video reported that she’s about half way through radiation treatments and that she’s feeling good and recharged after the holidays. You can follow her progress at www.kikkan.com.